The purpose of this interdisciplinary workshop is to bring together leading international researchers sharing a common interest in mathematical perspectives in modern biology. The aim is to discuss a broad spectrum of new and important results as well as interact and foster new research at the ICMAT. 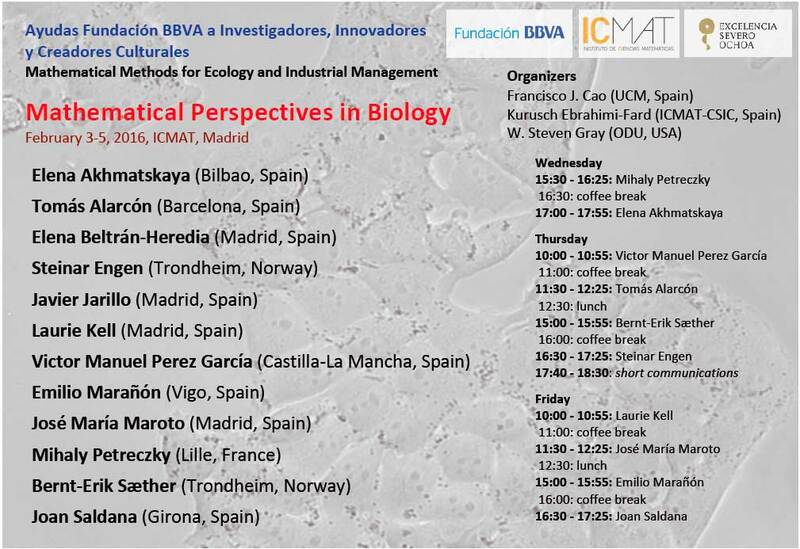 This event is part of the Project “Mathematical Methods for Ecology and Industrial Management”, which received generous funding from the Ayudas Fundación BBVA a Investigadores, Innovadores y Creadores Culturales.